And finals are history. Thank goodness. Anyway, to celebrate my newfound holiday freedom, I'm going to share with the blogosphere all of my Christmas favorites. (Just following Kayla's lead!) It feels so good to waste time again, y'all. Tradition: Since I was born, my family and I have spent every Christmas in Rayne, Louisiana. It's the place where all of my grandparents, uncles, aunts, and most of my cousins live, and where my parents grew up. My brothers and I were born near Rayne as well, so the small town definitely holds a special place in our hearts. We usually stay at my grandparents' house every time we go, because they have two extra rooms—one for my parents and one for us kids. My favorite holiday tradition is on Christmas Eve, after all of our relatives have said their goodbyes for the night and gone home to their own houses. At some time before midnight, my brothers and I put on our pajamas and crawl into one big cozy bed—me in the middle, Lance on my left and Jason on my right. We're always too hyped up on sugary sweets and holiday excitement to actually fall asleep, so the hour before is usually spent talking, tickling (on their part—no one's more ticklish than I am), and what my parents like to call "cutting up". Year after year, without fail, my mom will poke her head in the door and tell us to go to bed before we wake up our grandparents. And year after year, we ignore her. It's a beautiful thing. Hymn: "Oh Holy Night" by Josh Groban. 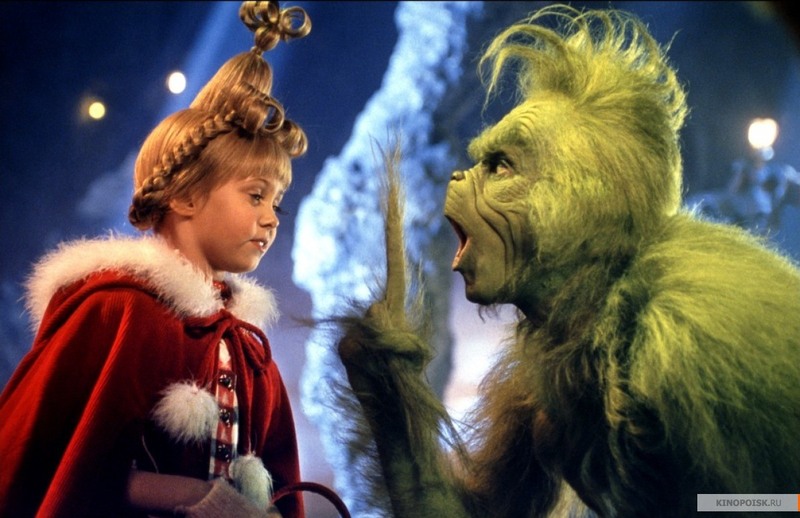 Movie: How the Grinch Stole Christmas. Jim Carrey gets me every time. Naughty or Nice: I think I'm on Santa's nice list this year. Fingers crossed. 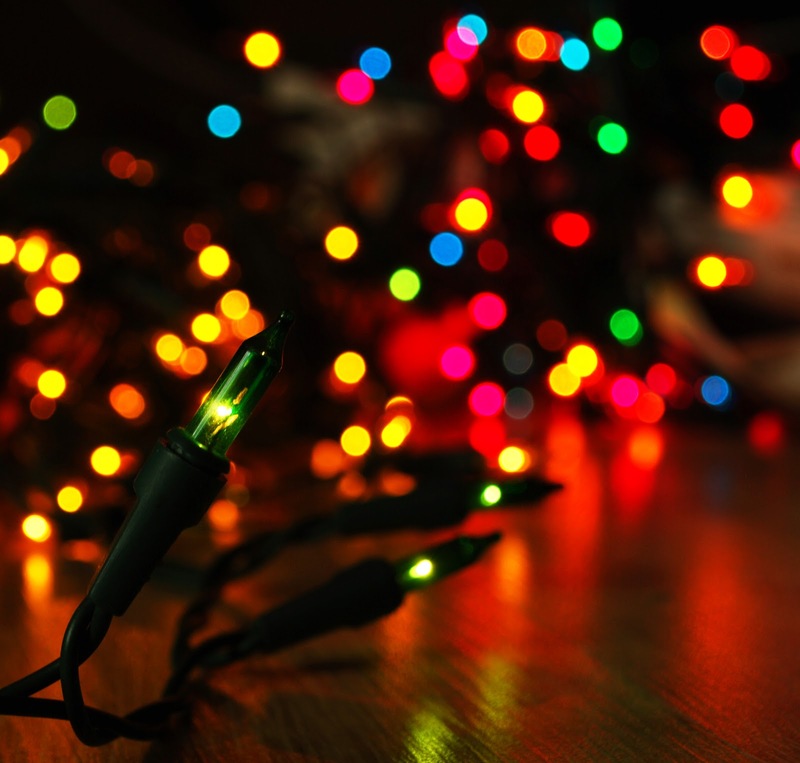 Multi-color lights or clear: Call me tacky, but I've always loved the multi-colored lights. Nothing quite fills my heart with joy than to see a rainbow-lit house or Christmas tree. Smell: Crisp winter air. Cinnamon candles. Freshly baked cookies. A burning fire. Peppermint soap. Southern Pecan coffee... What can I say? I love it all. Seasonal Treat: Egg nog. And Lula's cupcakes. Christmas Picture: Oh, gosh. I've accumulated so many over the years that it's kind of hard to keep track. But the one that stands out just a little more than the others was taken Christmas Eve of 2008, when my grandmother and I realized before Mass that we were wearing the same outfit. 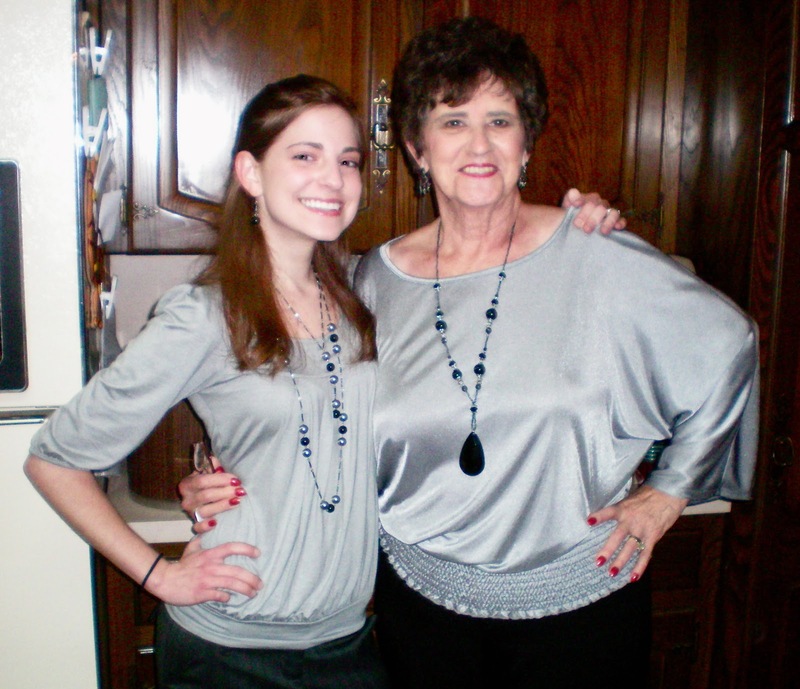 I must have good taste if I take after such a stylish woman. Best gift: My Nikon D5000 from Santa. It sort of changed my life. Worst gift: I've never really gotten a bad gift. Is there really even such a thing? A gift is a gift. Appreciate everything you're given, people. Special Memory: When I was six or seven years old, Lance and Jason dressed me up as Santa Clause and paraded me around the house with a bag of random goodies on my back. Dad recorded me stumbling through the living room while pillows fell out from under my red oversized shirt. We watch this video (and others) as a family every few years, and we still find ourselves doubling over in fits of laughter each time. Sight: A sparkling Christmas tree in the window, like the one we had back in Tomball—the sight of it got me through so many stressful December nights in high school. And if I lived up north, nothing would be as beautiful to me as all of the snow. Dislikes: December 25th, mid-afternoon—after the gifts are opened, Christmas lunch is consumed, and goodbyes are said amongst the relatives. The moment things start winding down, I can't help but wish it was December 15th again. On the drive home from Louisiana, I would give anything to repeat the whole holiday season over again. Wouldn't you? You and your brothers are adorable!!! I might be stealing it.